Aalborg, Denmark – February 17, 2016 – 2operate today announced that it has released version 3.0 of its groundbreaking operations automation solution. The new release of 2solve exploits state-of-the-art Big Data technology taking automated network assurance to another level. In addition, the upgrade includes a novel concept for preventive incident discovery based on standardized Key Performance Indicators. 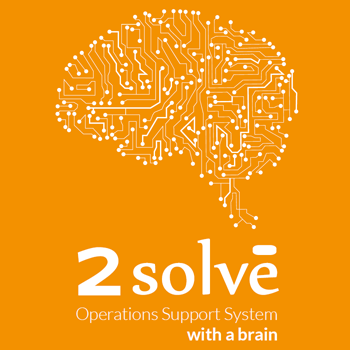 2solve, the leading network assurance solution using advanced algorithms for boosting productivity in network operations, will stay in front when it comes to support and automation of operational processes. 2solve is known among its users for simpler user interfaces with faster response times than traditional OSS tools in the market. With the new release, extremely low response times are guaranteed independently of how much the network is scaled. The purpose is to enable larger and more complex networks, as well as for automated analytics down to low-level components in network elements and individual mobile service subscribers. 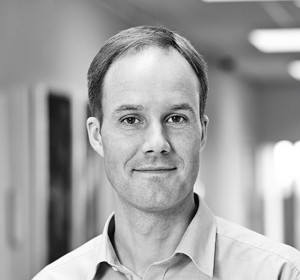 Aalborg, Denmark – February 4, 2016 – 2operate today announced that it has appointed Christian Ingerslev Sørensen as new CEO to strengthen the management team for current and future growth. 2operate, the leading innovator in network operations automation, is in a phase of strong growth and it recently announced a long-term contract with TeliaSonera on preventive mobile network assurance in Denmark, Finland and Lithuania. The company now seeks to strengthen its organization for global expansion by extending the management team. Christian Ingerslev Sørensen will be the new CEO at 2operate with focus on strategic and organizational improvements. Christian holds a Master’s degree in Control Systems Engineering together with a Master of Business Administration which gives him the technical insight and market-oriented mindset. For more than 10 years he has been working in leading positions within management, strategy, and business development. His professional background in telecom and IT, including companies such as Sonofon (Telenor Denmark) and Bredband Nord, will bring valuable and new business insight to 2operate. Lars Moltsen, co-founder of 2operate and Chief Executive Officer (CEO) since the company’s establishment in 2009, will take the position as Chief Science Officer (CSO) with focus on business and product innovation. “In a period of solid growth, we need to optimize our organization and bring additional competences to our management team“, said Kaj Juul-Pedersen, Chairman of the Board in 2operate. “Christian has the right profile with a great combination of technology understanding and management experience. He is a modern leader and a team player who will help the company to enter another level of maturity while maintaining its entrepreneurial spirit“. “My professional career has always been with a focus and passion on effective Network Operations“, said Christian Ingerslev Sørensen. “The focus of 2operate to optimize the utilization of staff and network resources is a key factor for success in the telecoms market today. We have a unique product, 2solve, and the recent long-term contract with TeliaSonera in three countries shows the global potential for us. I am very excited about our future“.